USDJPY is under the influence of fiscal stimulus measures. The support rests at 105.270 with resistance at 106.470 which both lines are above the weekly pivot point at 103.870. The EMA of 10 has started its bearish trend along with the descendant channel towards the EMA of 75. 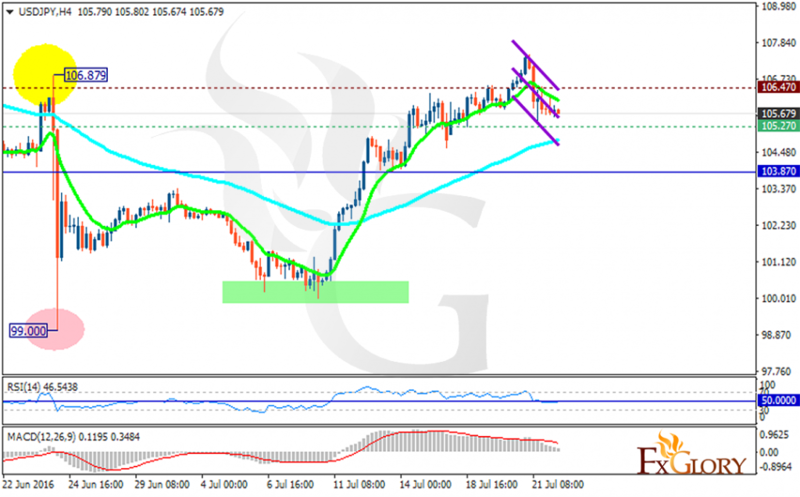 The RSI is moving on the level 50 and the MACD indicator is declining towards the neutral area. The pair is falling at the moment so short positions are recommended with the target at 104.500.